Moving day. For many Coloradans, this can be a stressful time that consists of too many ongoings to keep track of. If you are planning on relocating your family and your life, it can help to find professional movers to take care of everything. 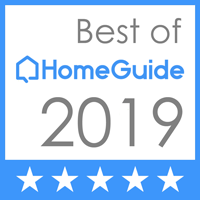 Abe Lincoln Movers is here to provide honest, reliable commercial and residential moving to Denver residents and beyond, delivering quality outcomes to the Front Range for years. Our insured moving services offer peace of mind, providing the best care for your valuables to let you focus on more important things. If you do decide to take on the move yourself, renting a moving truck will likely be on the agenda. These large vehicles are made to carry a lot, but their weight and profile can create serious concerns. Today, we’ll continue to discuss moving truck tips that may help you stay safe on the road. If you would rather leave the stress of transportation to the pros, be sure to contact our home movers for assistance! One of the biggest reasons things homeowners stress about when driving a moving truck is the mirror situation. Like most utility vehicles, this truck will not have a rearview mirror to keep you in the know. It’s important to become comfortable with these mirrors to keep you and other commuters safe. Oftentimes, renters will make a lane change and not realize that their mirrors have blind spots. We recommend properly setting your mirrors before each trip. It is also helpful to avoid tight situations, as the large, bulky size of your truck will make the process of backing up, turning, and pulling out much more difficult. If you are not comfortable with driving in a confined space such as a parking lot, it can prove helpful to take the time to move slowly and check often to mark your progress. One major challenge when trying to safely navigate in a large moving truck is the changing of regulations as you travel. Changing speed limits, weight restrictions, and other rules must be adhered to at all times. Regular drivers can rent these trucks, and they are expected to follow all laws of the road. Be sure to watch your speed and spacing. Red lights can also be a concern with heavier loads, making it important to be mindful when approaching intersections. Crosswalk signals are a good indicator of how roughly much time you have to make it. Being mindful of the conditions on the road is just as important as our other tips. Colorado is famous for its crazy weather patterns, making it vital for you to keep informed while in your rented truck. Remember that larger vehicles need more time to stop and accelerate. A large majority of accidents on the road are preventable, and a lack of concentration can often be at least partly to blame. Keep focused when driving your rental truck. Texting, tweeting, messing with the radio, or even eating that burger you’ve been craving from Hopdoddy can all cause distractions and impair driver response time. We suggest saving any activities for after the drive! Planning your route can result in a wide range of benefits. Recreational drivers may find themselves stuck on a narrow or dead-end drive! Our residential movers rely on precision in planning our routes, as doing so can keep your project protected from unexpected problems. Running out of gas on a long move, for example, can prove very inconvenient! In a lot of cases, moving companies that offer truck rentals will provide a package deal that adheres to a certain mileage limit. Consumers can save big if they can stay within the threshold, as going over will likely result in serious upcharges. Be sure to map out your route online to account for the mileage, traffic, and any concerns such as road work. This small measure can save you big by the end of your move, so be sure to measure twice! If you are thinking about renting a truck for your move, it’s important to plan ahead and drive safely for the best results. Residents who would rather focus on the 900 other details involved with this process can benefit from reaching out to our local movers for assistance. 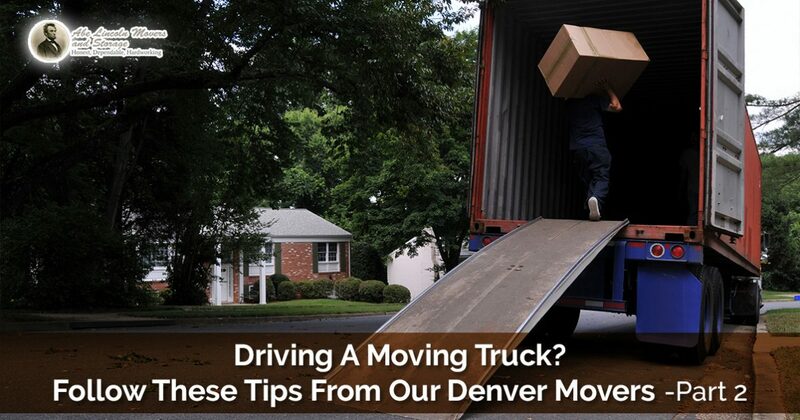 Abe Lincoln Movers is proud to be your trusted source for comprehensive residential moving across Denver and beyond. Contact us now to learn more!